A local health care facility is currently working on utility installation project within their service area in Albany, New York. Prior to starting the required excavation for the placement of the new utility lines the contractor completing the work needed to know the location of the utilities present near the scope of work to eliminate the chance of striking any of the lines while the excavation was taking place. Ground Penetrating Radar Systems, LLC. 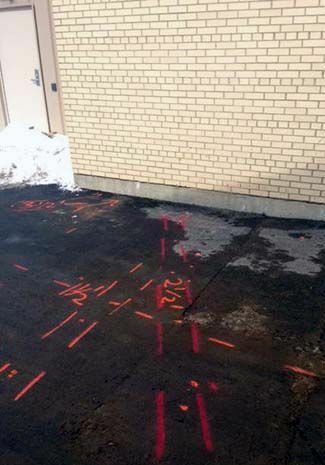 was recommended to the contractor by past customers that knew they not only had the ability to locate the utility lines, but to also provide their respective depths beneath the surface. The project manager decided to give GPRS a call and was pleased to hear he was available to complete the project well within the needed time frame.